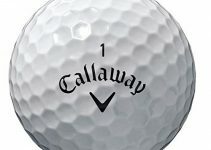 Callaway succeeds in producing diehard fans every time it launches some product, and indeed fans specifically including me are falling crazy for this launch, Callaway’s epic Star Driver. Luckily, at our local club, I found a chap who actually had this driver. I had a detail discussion about Epic Star. If you are thinking to buy this driver? Then let’s have a Callaway Epic Star Driver Review. Ready? Callaway left no stone unturned when designing Epic Star. This club was originally released in Japan in January. Every material in the club was selected with the lightest weight in mind. 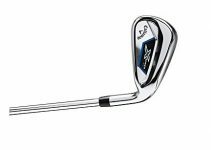 The driver has a lightweight titanium head similar to many other drivers. However, Callaway opted to use triaxle carbon fiber in the head to create an overall weight of just 9.7 grams. Amazing! The stock shaft in the Epic Star is a Mitsubishi Rayon Grand Bassara. This shaft weighs 39 grams and is lighter than the stock shaft in most drivers manufactured today. And, the stock grip is the Golf Pride J200. Callaway has used the Jailbreak technology in this one, which was introduced in 2017. Jailbreak Technology is two rods that extend from the crown to the sole of the driver. It is designed for the flexing of the smaller area, providing better results on center hits. With its overall weight (286 grams), 460 cc head featuring Jailbreak Technology, the Epic Star is built for power. All of this is best if you are a professional and play fast shots. Callaway has always mastered the art of manufacturing Golf products, and same is the case with its Epic Star Driver. What makes it so unique? Ever wondered let’s find out by hunting through its pros. It is an aesthetically pleasing club that structures a black pear-shaped head and gold trim features. It has introduced jailbreak technology in which two rods extend from the crown to the sole of the driver to make it light weighted. Exo-Cage construction allows the weight to be moved to the perimeter for enhanced forgiveness. A Speed Step on the crown improves airflow to help produce more clubhead speed, which is beneficial for professionals. The Epic Star also features an 11-gram sliding weight to help players achieve their ideal shot shape, but unlike the standard Epic driver, the Star features a lightweight bonded hose design, so there is no loft or lie adjustability available. Of course, nothing in this world is made out of perfection therefore; the Callaway Epic Driver also has some drawbacks if compared. Yet, the drawbacks are lesser than the pluses. So let’s have a look at its cons in our effort for Callaway Epic Star Driver Review post, and see if it’s worth the purchase. The super lightweight of the Epic Driver may not be appealing to the golfers with an average swing of 95MPH. the weight isn’t to fascinating for everyone which is not a really great aspect. 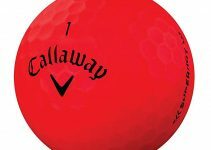 The price of the Callaway Epic Star Driver is comparatively more expensive than any other driver which is a negative feature and can lose fans who couldn’t afford such expensive products. The price should be decided keeping in mind the affordability of the ordinary golfers. If low, short, speeding tee shots are a problem for you, the Epic Star could be the driver that fixes what troubles you. It’s a fine-looking, sweet-hitting driver. In fact, it’s so light you’ll barely know it is in your bag, the driver is worth the purchase and if compared to its quality, the price might be fair yet, if you are a person who couldn’t afford it than this might not be best for you.